IRELAND: It’s one of the easiest places in the world to do business. Ireland has long been a gateway to Europe. After Brexit, Ireland will be the only English-speaking country in the EU. After the UK leaves the EU, multinationals will have to look at their European and UK strategies separately. There has been a lot of worry about Ireland’s economic future in the aftermath of United States corporate tax cuts. Ireland became a mecca for US multinationals partly because of its low corporate income tax rate. Will the island nation still attract jobs and foreign investment? The concerns are overblown. Multinationals still want access to the European market and its more than 500 million people. And Ireland’s welcoming business environment is much more than its 12.5-percent corporate tax rate. Ireland has long been a gateway to Europe. After Brexit, it will be the only English-speaking country in the European Union. That’s significant. London has been the top destination for companies planting a flag in Europe because of its large economy and the opportunities it offers attract people from all over the world. Its economic and financial position only strengthened with the formation of the EU. After the UK leaves the EU, multinationals will have to look at their European and United Kingdom strategy as two separate strategies. I predict many will set up a secondary hub for European operations, so they can continue to trade freely within the eurozone and take advantage of open borders to attract talent without immigration hassles. Ireland will compete for multinationals with Amsterdam, where English is widely spoken. While financial services companies will consider cities like Paris and Frankfurt, Ireland will also be in the running. The Irish economy is growing faster than the rest of the EU, with 7.3 percent growth in 2017. Multinationals make a great contribution to the growth because of their exports and other activities. But consumer spending and construction investment are also driving the economy. One of the more popular unofficial measures of the economy is The Irish Times’ Crane Count. Every month, the Dublin newspaper reports on the number of construction cranes visible from the seventh floor of its building. On July 1, 79 cranes were visible over the center of Dublin, an increase of seven from June. The newspaper launched the survey on February 1, 2016, when it counted 31 cranes. The huge increase from two years ago gives you a good idea of the development surge, most of it commercial. New residential development hasn’t kept up with job growth, leading to soaring rents and housing shortages across the Republic. The housing crisis is the cloud over Ireland’s economy, not US corporate tax cuts. Ireland’s corporate tax rate is still lower than the new US rate of 21 percent. An estimated 700 US companies have established operations in the country, led by the pharmaceutical and tech sectors. I don’t expect a mass exodus. In addition to having a low tax rate and growing economy, Ireland is one of the easiest places in the world to do business. A new report ranked Ireland as the least complex regime among more than 80 countries for corporate compliance. The regulatory requirements for starting a business, for instance, are straightforward; registering a firm only takes about a week. Businesses take on average 82 hours a year to prepare, file and pay taxes, according to the World Bank, about half the time it takes in other high-income countries. One new wrinkle: Irish companies have a statutory requirement to file their beneficial owner’s details with the newly established Central Register, which is expected to be live early next year. Beneficial owner registration is necessary to meet EU anti-money laundering legislation. For businesses looking to enter Ireland or other countries, free resources like this country profile guide are available. Ireland’s regulatory system is expected to remain stable because the government is not in need of more revenue. Ireland ran a surplus last year, and its fiscal position remains strong. Stability and prudent planning have helped attract companies, such as Truata Limited. Two American icons of business, Mastercard and IBM, have joined forces by founding Truata, a Dublin headquartered technology startup focused on helping organizations comply with the EU’s new General Data Protection Regulation (GDPR). Organizations are grappling with a new standard for personal data protection envisioned by GDPR. Companies will be held accountable for the misuse of personal data, including names and phone numbers. Truata offers a new approach to handling data anonymization and analytics to safeguard privacy. (Full disclosure: I’m on Truata’s board of directors.) Truata’s choice to call Dublin home tells you a lot about what Ireland has to offer and is a good sign for the future. 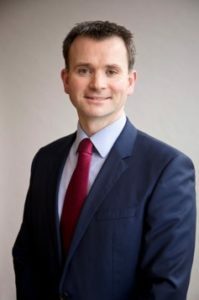 Kevin Butler is managing director of TMF Management (Ireland) Ltd where he has responsibility for a team of 75 legal and accounting professionals at TMF’s operations in Dublin. He has more than 19 years of experience in finance and accounting.